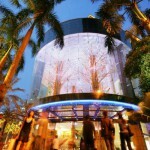 A pioneer in international luxury in Kuala Lumpur, Starhill Gallery is listed as one of “Asia’s most beautiful shopping malls”. Starhill Gallery is immediately recognizable with its distinctive façade of avant-garde architecture, masterminded by a world-renowned architect and an international team of designers. Constructed using lightweight steel and state-of-the-art technology, it features sleek, angular stone and glass panels of glimmering liquid-like effect. 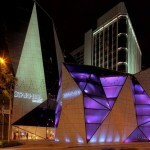 In Kuala Lumpur, Starhill Gallery delivers “A Gallery of Rich Experiences”. Seven luxurious floors offer quality, privacy and exclusivity crafted for those who seek experiences out of the ordinary. International icons of luxury and the world’s premier retailers are here, including some of the world’s rarely seen standalone luxury watch boutiques. Starhill Gallery integrates two world class hotels and The Residences at The Ritz-Carlton, Kuala Lumpur into a seamlessly sophisticated environment that is designed to provide a myriad of different dining, leisure and lifestyle experiences. 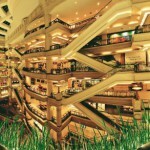 Food, fashion, living, beauty and art – Starhill Gallery is Kuala Lumpur’s ultimate statement of style. Monday to Sunday, 7 days a week from 10.00am to 10.00pm daily. Restaurants on Feast Village 10.00am to 1.00am.